Zynga, one of the largest gaming companies is going to launch the real money involved gambling games, named the ZyngaPlusPoker and ZyngaPlusCasino which would be available for the UK players. The social gaming company is going to launch these games for the ages 18 and plus, and have partnered with bwin.party, one of the largest and most reputable real money gaming operators worldwide. The ZyngaPlusPoker is an online poker room which would offer the UK players with the several games available in a huge variety, and the tournaments will have the buy-ins available at the entry level. ZyngaPlusCasino is a platform bringing players more than 160 slots games and a variety of table games to choose from including Blackjack, Roulette, Baccarat and Video Poker as well as the first-ever FarmVille themed slots game. Both the games, i.e. ZyngaPlusPoker and ZyngaPlusCasino would offer the players a host of welcome packages, which includes real money bonuses and free cash on deposit. No matter whether players choose to play using the download or on the web, they will use a single wallet shared across both versions, and this is what would make it better for them to play and keep things synced. 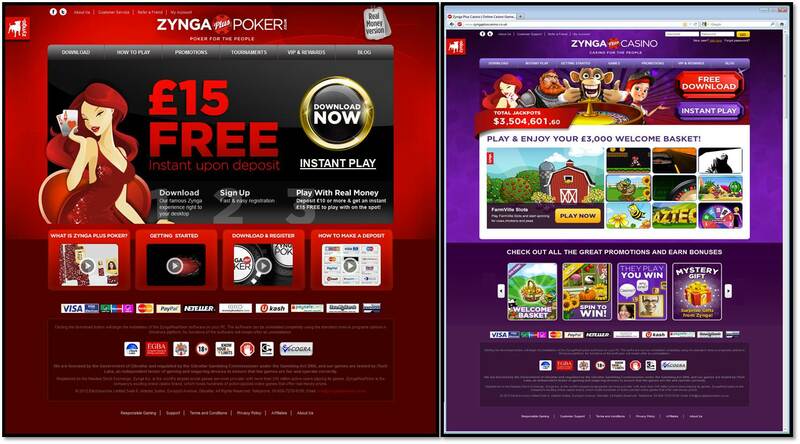 Players simply need to visit ZyngaPlusPoker.co.uk and ZyngaPlusCasino.co.uk to register for the web or downloadable version of either offering. Zynga won’t stop it’s planning right here, as they are soon going to come up with something similar for the US players too. The games which would be available for the users on their websites, will also be soon available for playing directly from Facebook and there would be mobile versions of the same available. This surely isn’t a vague attempt from Zynga as they have set a partnership with one of the money gaming operators which is well trusted all around.